APCOM has been engaged in responding to the urgent needs of MSM in Asia and the Pacific at both a policy and programmatic level. At a multi-stakeholder consultation on “Ending AIDS in Asia- Re-strategizing the MSM response” held 21-22 January 2013 in Bangkok, Thailand, UNAIDS RST-AP was tasked to coordinate a regional ‘Call to Action’. As a result, UNAIDS, UNDP and APCOM collaborated on a special MSM feature in the HIV in Asia Pacific: UNAIDS Report 2013 calling on partners to better “focus, invest, empower and mobilize” to provide innovative, tailored programming and effective responses to at- risk communities. To ensure sustained action in response to the ‘Call to Action’, In 2013 APCOM received seed funding from UNAIDS and further assistance for Population Services International (PSI) Thailand to implement a pilot project for Regional City-Based HIV Testing Campaign: TestXXX, called TestBKK. APCOM would also like to roll this out to other cities in the region such as Ho Chi Minh City in Vietnam, Jakarta in Indonesia and Manila in the Philippines. 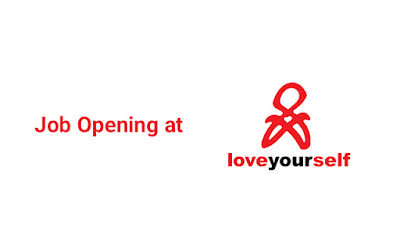 LoveYourself Inc. partnership with APCOM, is looking for (1) Audio & Video Consultant, (1) Scriptwriter, (1) Photographer, and (1) Shoot Coordinator who will developed/produced Information, Education and Communication (IEC) materials on HIV screening awareness, and prevention for Regional City Based HIV Testing Campaign: Test MNL. Post and/or Undergraduate degree of Communication, Journalism, Film, Theater or any similar discipline. At least 2 years proven track record on developing and implementing effective video ad campaigns. Must have an extensive experience in film production and creative industry, especially in filming, directing, location scouting, costume design and actors coaching. Has extensive experience in developing Information, Education and Communication (IEC) materials for LGBT and HIV awareness. Has the appropriate production equipment or can source out the needed video production equipment and materials to ensure production of quality videos. Has the ability to develop a costing plan for visual ad campaign production. Has enough qualified manpower to be involved in producing and finalizing the visual ad campaign materials. Preferably based in Metro Manila. Must have an extensive experience in creative writing in film, television, and/or advertisement. Post and/or Undergraduate degree of Communication, Journalism, Film, Theater, Creative Writing or any similar discipline. At least 2 (two) years of proven track record of developing and designing effective script for video ad campaigns. Key skills includes creativity and the the ability to communicate a story to an audience, determination, persistence and self-motivation. Must have a Bachelor’s degree in any field. Must have an extensive experience in photography, has an excellent portfolio of projects done for different campaigns. At least 2 years of proven track record of developing and implementing effective photo ad campaign. Key skills includes the artistic ability to create photographs that conveys the messages of the campaign, attention to detail, interpersonal skills, photo-editing skills, and photography shooting equipment. Has the appropriate production equipment or can source out the needed photo shoot production equipment and materials to ensure production of quality visual ad campaign materials. Must have an extensive experience in commercial or editorial photography. Understanding of photo production and photo studio workflows. Experience and flexibility in accommodating frequently changing schedules. Superior organizational skills and are very attentive to detail. Strong inter-personal and customer service skills. 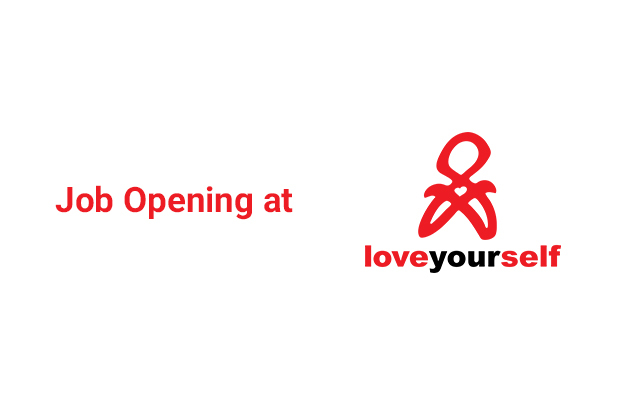 LoveYourself Inc. is an equal opportunity employer and highly encourages applicants from the gay, bisexual, and transgender community who have experience in non-profit and community development work. Interested applicants should submit an expression of interest (EOI) letter for the position they desired together with the applicant’s CV/resume, via e-mail to vinn@loveyourself.ph and cc: la@loveyourself.ph and icade@loveyourself.ph on or before January 22, 2017 (Sunday), 5:00 pm (PH time), addressed to Mr. Ronivin G. Pagtakhan Executive Director of LoveYourself Inc. technical review of documents will be done and the most qualified applicant will be contracted by LoveYourself Inc.